Rete Eco - Lock Up. Released. Charged. Posting your opinion on facebook shouldn't land you in jail. Free Imad Barghouthi. Sign our letter demanding Dr. Barghouthi's release! [ http://org.salsalabs.com/o/301/p/dia/action3/common/public/?action_KEY=19823 ] . 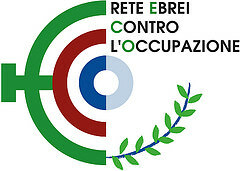 TAKE ACTION [ https://org.salsalabs.com/o/301/p/dia/action3/common/public/?action_KEY=19823 ] . . . Locked up without charge or trial. Then released by a judge, only to be indicted by a military prosecutor. And thrown back in jail. That's what millions of Palestinians living under Israel's military occupation face. And it's exactly what famed Palestinian astrophysicist Imad Barghouthi is enduring - right now. Last month Dr. Barghouthi was placed under Administrative Detention - which in practice means an indefinite sentence in prison without charges - based on Facebook posts. Our Academic Advisory Council, in coalition with the US Academic and Cultural Boycott of Israel and the Association of Academics for the Respect of International Law in Palestine, mobilized to support their colleague. Hundreds of academics from across the globe signed a letter of support, which was presented in court by Dr. Barghouthi's lawyer. And it made a difference, with the judge ruling for Dr. Barghouti's release from administrative detention. But then we heard on Tuesday that IDF prosecutors had found an end-run around the release order. In spite of the judge's ruling that Dr. Barghouti poses no danger, army prosecutors formally indicted him on charges of incitement. Along with Dr. Barghouthi, hundreds of Palestinians remain in administrative detention, without charge or trial. Since January, 190 Palestinians have been detained specifically because of Facebook posts critical of Israeli government actions. While the IDF can place gag orders on the Israeli media, they can't place a blanket gag order the internet. In this political climate, let's send a message that all Palestinians deserve to express themselves freely.